Many people will look at a fish knife and fork and think, what is the point? Is this really essential? Will a standard knife and fork be so wrong? 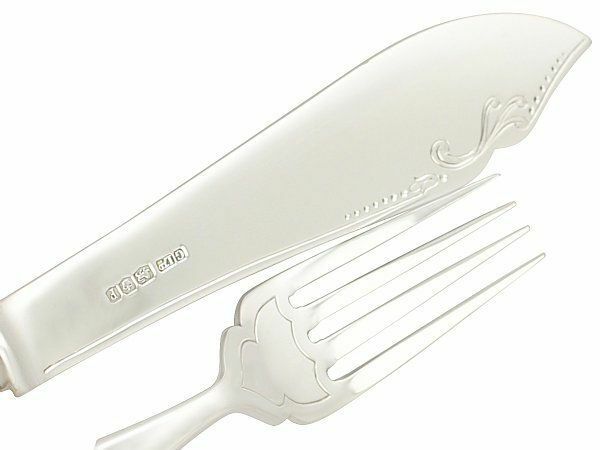 Many people will see these items as very much a pretentious piece of flatware. Be that as it may, it should remembered such items originate from a time where table behaviour was key, prompting about two hundred distinctive eating utensils being intended for specific courses and/or food types. The early to mid-19th century in Britain was a period of thriving industry and wealth which enabled the middle classes to focus on dining as a way to impress and display their wealth. 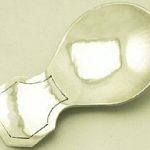 The idea of separate courses arrived in the 1850’s, leading to the demand for an assortment of utensils which would distinguish the serving and eating of various food types. 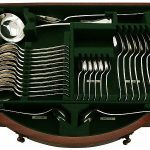 For manufactures of cutlery (cutlers) this was an amazing time as they were able to produce several hundred eating utensils in various design styles which could even incorporate additional materials to the handles to make then more aesthetically appealing. In the case of fish servers, knife blades were frequently embellished with piscatorial related engraved decoration. In the Victorian era fish servers and cutlery sets also made fabulous gifts. 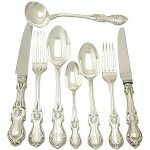 It was common place for brides to request fish services as gifts to add to their silver flatware collection as a dining table could be set with twenty-two or more different pieces at each place setting, each having a unique purpose for the banquet; I use the term banquet as it was quite common for these meals to last eight hours! Imagine expecting your dinner guests today to remain at the dining table for this length of time, it would be almost impossible. What is a Fish Knife? This small table knife is specifically designed to facilitate the eating of fish. The knife blade has a curved sharp edge, perfect for sliding between the skin and flesh of the fish. The broad blade is a useful feature as it assists in lifting the fish to the fork, whilst keeping flakes in one piece. The blade terminates in a relatively sharp point which is useful to lift small bones away from the flesh. The wide surface may also be used to scrape up, or spread any sauce served with the fish. Most of the fish purchased for dining events today is likely to boned and filleted by the fishmonger, so does this mean the item is useless in the modern day “filet-o-fish” world? Martha Stewart gives a good demonstration on how to use a fish knife which you can view here. What is a Fish Fork? As with the fish knife the fish fork is used with fish dishes. 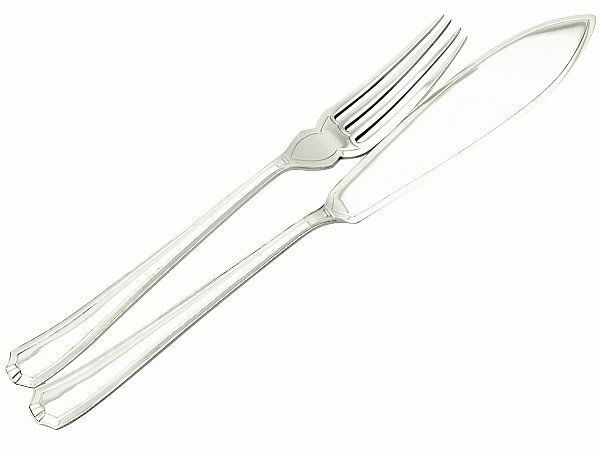 The standard fish fork smaller than a table fork and is approximately 7 ¼ to 7 ¾ inches long. Fish forks (and knives) often have an incurve shaped form (pictured); we believe this feature was simply to differentiate it from all the other forks that could be present on the table, as potentially there could be a considerable amount. Like traditional dining table settings, the fish knife and fork are placed in order of use. 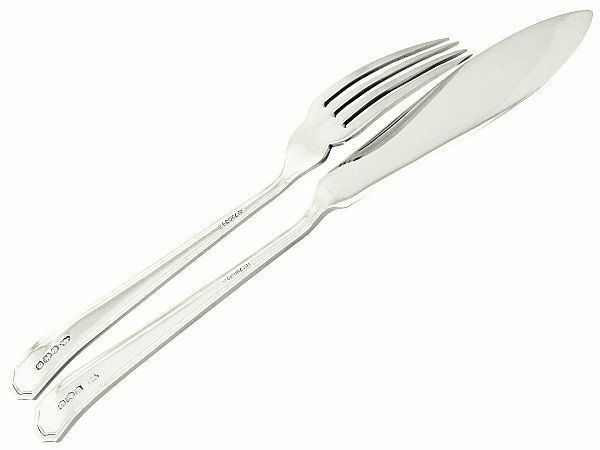 Therefore if fish is being served as an appetiser the fish knife is laid to the right of the dinner knife and fish fork to the left of the dinner fork. If fish is being served as a main course fish cutlery should be placed nearest the plate (fish knife to the right of the dinner plate and fish fork laid to the left of the plate). 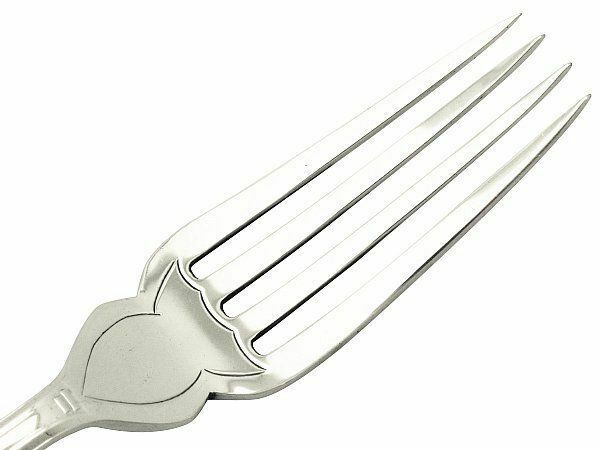 When it comes to the fish fork it may be place with either the fork tines upward in the American style or downward for the continental style (pictured below). Many of our customers appreciate the beauty of silver fish cutlery and you can see the items in use in the picture below. However there are a lot of people who believe that the fish knife was quite a fussy item of cutlery and really had no true reason for its design and in effect was created to solve a non-existing problem. What do you think? Would you use fish knives and forks? fish was eaten in uper class society using two forks, knives of the 19th century and earlier were of steel, not stainless, the non stainless steel would taint the fish hence the use of 2 forks. Fish knives and forks tend to be non u. I have tried 2 forks, quie simple, but use silver fork and stainless steel blade. Soup spoons are also non u antique sets, old family soilver used table spoons for soop. It is all really fashion, and old family traditions. A friend made a comment when I suggested an under and over shotgun instead of the traditional side by side. 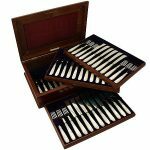 I have a Vintage fish knife fork splice set; placed a in an original wooden box. Looking to sell it. Do I send you a few pictures to be appraised and sold on your website. Hello Andre, I am afraid we don’t offer appraisals. 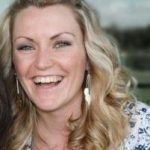 I would advise you to take the item to your nearest auction house for appraisal or you may find the following sites useful. 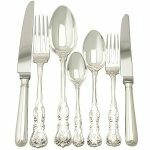 Beyond a few, basic pieces, all silver flatware is non-u. But where’s the fun in that? One of the greatest joys of being a vulgar American is our use of the fish knife — that, and pronouncing French words correctly. Previous Entry: What are Brown Diamonds?